Bhai Dooj will be celebrated on November 9. 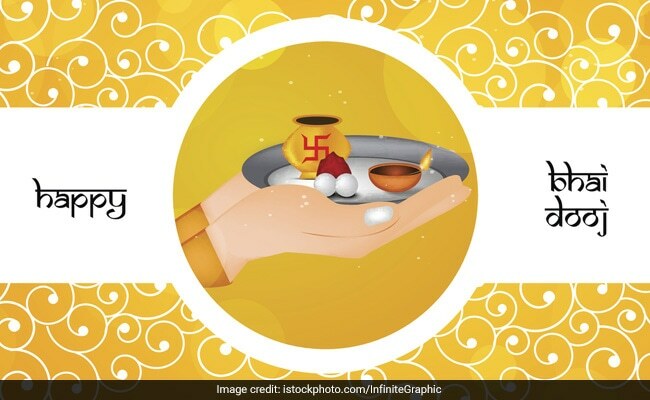 On Bhai Dooj, sisters invite their brothers home and apply 'teeka' or 'tilak' on their foreheads, and pray for their long life. 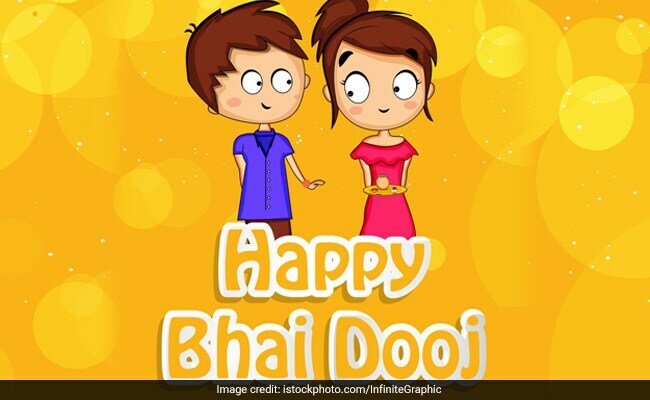 Bhai Dooj celebrates love between brother and sister. Bhai Dooj, also called Bhau-Beej, Bhai Tika or Bhai Phonta is a day that celebrates love between brother and sister, just like Raksha Bandhan. It is celebrated today, two days after Diwali. 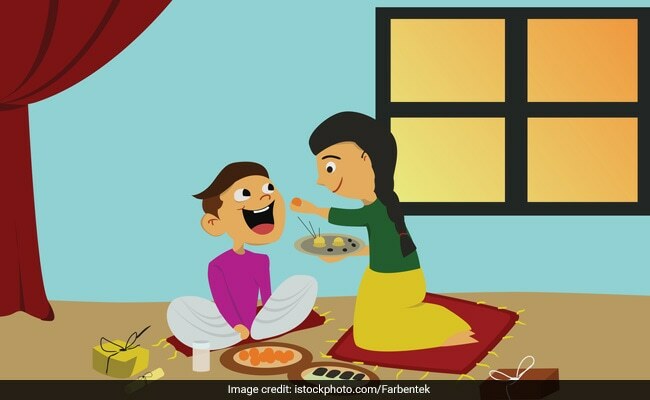 On Bhai Dooj, sisters invite their brothers home and apply 'teeka' or 'tilak' on their foreheads, and pray for their long life. They also wear festive clothes, prepare an array of dishes. The sisters also get gifts for their brothers. Brothers also present gifts to their sisters and pray for their well-being. The festival is called Bhau Beej among Gujarati, Marathi and Konkani-speaking communities, Bhai Phonta among Bengalis and Bhai Teeka in Nepal. For guiding me, protecting me and being equally crazy with me. I couldn't have asked for a better brother than you. Happy Bhai Dooj! May you be blessed with long, healthy life and you succeed in sphere of your life. Happy Tikka, bhai. I must have done something right that God blessed me with a brother like you. Happy Bhaiya Dooj. Brothers are like streetlights along the road, they don't make the distance any shorter but they light up the path and make the walk worthwhile. Love you, bhai! To my childhood bully, my soul sister, my protector and my best friend! What would have I done without you! Blessed to be your brother. Love you, behena! On the auspicious occasion of Bhai Dooj, I want to promise my dear sister that no matter what, I will always stand by your side! Sending you all my love on this special day! Happy Bhai Dooj! This sacred thread you tie on my everywhere, reminds me of you all the time and fills me up with more love for you. You are the best sister in the world! 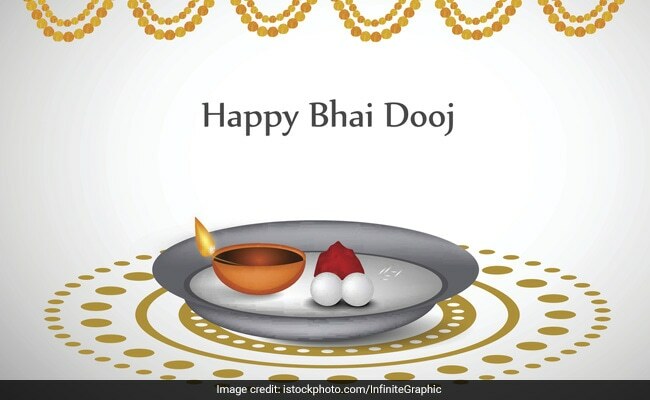 Happy Bhai Dooj! You have always helped me in every way possible whenever I got stuck. Sister, you are my guiding light and I can never thank you enough for being so selfless. Blessed to have you in my life.